A memorial tribute has been established with AFE honoring Gayle (Gay) Smith, 63, who passed away on March 1, 2018. The tribute was established thanks to a generous contribution from Chrysal Americas President Jim Kaplan. Smith served as the technical manager for Chrysal for more than 18 years. “We are honored to establish the Gay Smith Memorial Tribute on behalf of our staff, clients and the entire industry,” said Kaplan. Smith was an active member of the industry and a great supporter of all things floriculture. Her career spanned more than 45 years, and she proudly wore the title of “queen” of post-harvest care and handling. She grew up in suburban Phoenix and attended the University of Arizona studying environmental horticulture. After college, she relocated to San Francisco and began working at a local florist in the late 1970s. Smith eventually found her way to the San Francisco Flower Market where she worked for Kitayama Brothers, filling and hauling buckets of carnations and roses. By 1981, she had made a name for herself as the first female manager working among the male-dominated world of growers and wholesalers at the market. She introduced the market to the idea of importing flowers from Holland, Israel and South America, and became an expert on unusual, unique blooms and their post-harvest needs. Smith was hired to open a small export business at the flower auction in Aalsmeer, Netherlands, in 1983. She returned to the U.S. in 1986 and worked at Melridge Inc., where she honed her knowledge of marketing and found her true love of flower care and handling. She also led tours to farms throughout Central America and Europe, teaching post-harvest techniques and how to market unique floral products. 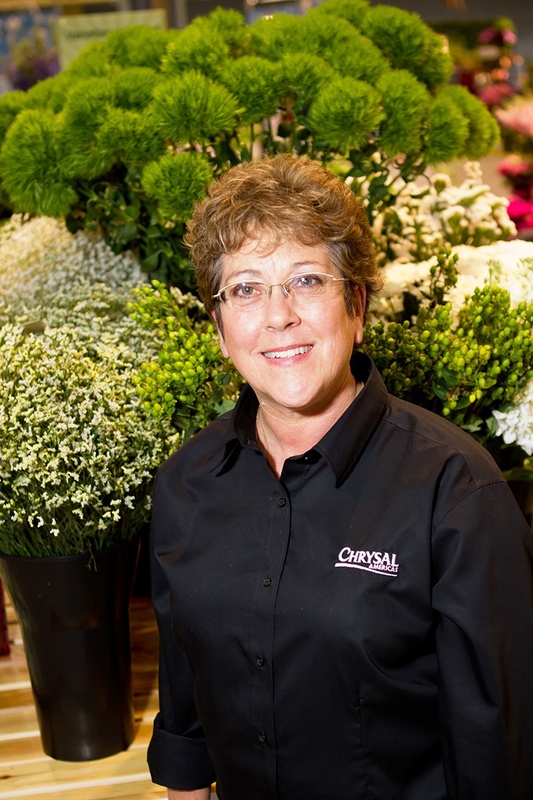 In 2001, she joined Chrysal as the technical manager for North and South America, traveling to wholesalers, retailers and supermarkets and sharing her knowledge for care and handling techniques, proper hydration methods, and the importance of pH levels to maximize shelf life. Always giving of her time to help advance the industry, Smith wrote hundreds of articles and made dozens of presentations to promote healthy flowers. She was active with many industry organizations including the Society of American Florists, where you could always find her helping out with the Outstanding Varieties Competition making sure all of the entries were hydrated. She was also active in the Wholesale Florists & Florists Suppliers Association and the Association of Specialty Cut Flower Growers. Diagnosed with ovarian cancer in early 2016, Smith fought the disease with her sisters Joy and Susie by her side, and never lost her love, spirit and enthusiasm for flowers and the floral industry. She is survived by her sisters, her brother Danny, and other family members William and Gabriel Kyne, David, Katie and Mark Doyle. Joy and Susie are hosting a celebration of her life on March 24 at 3:00 p.m. at Unity Church of Portland, 4525 SE Stark Street, in Portland, Ore.